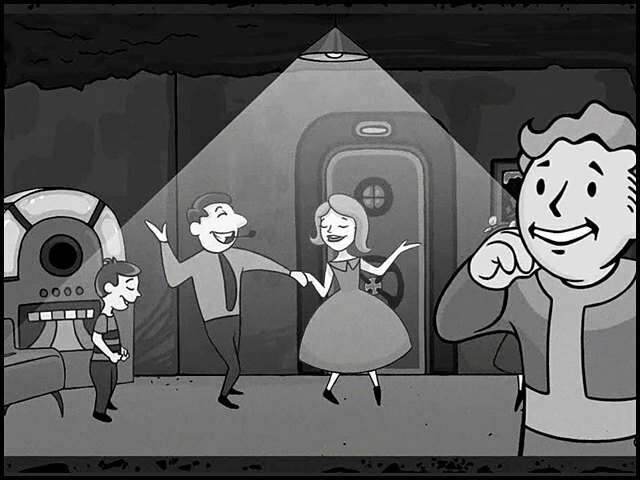 Twelve cases of Vault-Tec's most bizarre vault experiments (continued). Don't go anywhere! We've got more Fallout vault experiments for you. Vault 22 - This vault was designed to conduct experiments in agricultural technologies. Many of the experiments were successful, but one produced genetically modified plants that produced spores which transformed the vault's inhabitants into bizarre, humanoid fungal life forms. Vault 68 - Possibly one of the most sadistic experiments, this vault contained 999 men and one woman. Vault 69 - Inverting the experiment of vault 68, this vault was populated by 999 women and one man. Vault 77 - Constructed in a small cave, the location of Vault 77 is unknown. At the time of the Great War, it was sealed with a single occupant and a crate of puppets. Naturally, the inhabitant went insane from isolation and confinement, eventually escaping and becoming the mysterious serial murderer known as the Puppet Man. A Vault 77 jumpsuit can be found in Paradise Falls next to an audio recording of a very worried slaver who pleads with his fellows to get rid of the thing, fearing that “he” might come back. Vault 87 - The original inhabitants of this vault were taken to airtight chambers and exposed to concentrations of a variant of the FEV. This vault is the birthplace of the super mutants. Vault 106 - Ten days after being sealed, psychoactive drugs were introduced to the air supply in an attempt to use hallucinogens to keep the population calm. Today, most of the interior has been destroyed and the only people left are madmen who have stumbled across the vault and succumbed to the high concentrations of chemicals in the air. Vault 111 - Little is known about this Vault, except that it's located in Boston, Massachusetts. 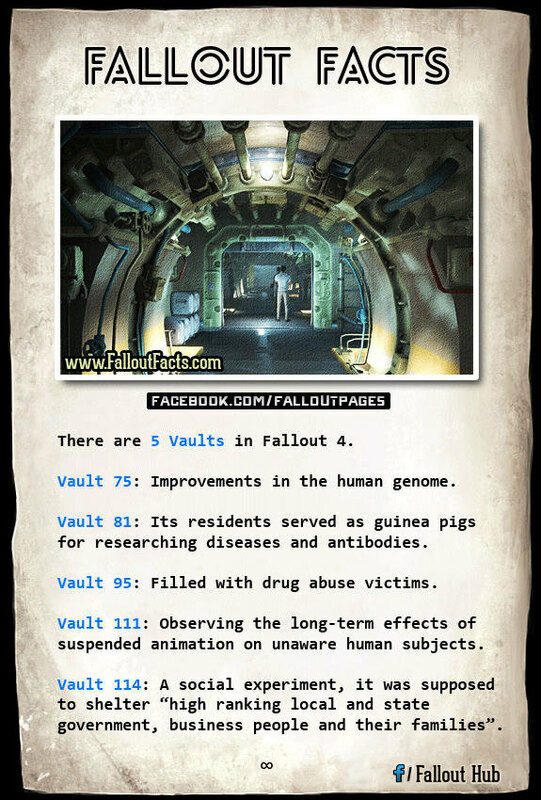 However, if we are to believe the Fallout 4 rumors, this Vault is involved in Cryogenics, which means their residents are kept in suspended animation until the experiment is over. Now, let's have a quick look at the other four Vaults that one can find in Fallout 4, shall we? Warning! SPOILERS!!! Vault 112 - Built to attend to the needs and whims of Dr. Sanislaus Braun, creator of the G.E.C.K., this vault housed an array of “tranquility loungers.” These were virtual reality devices that let the inhabitants live out their lives in computer-generated simulations, all under the sadistic control of Dr. Braun. Want even more information on Vault-Tech Vaults? Sorry, but you do not have sufficient clearance to requisition that information. And that's all we've got on Fallout vault experiments. Enough for today, stay tuned for more Fallout Facts soon. Did you find this article interesting? Share it!